It was in the fifth game of Chelsea’s then-record consecutive winning run under Antonio Conte in 2016/17 that they finally reached the summit of the Premier League. A resounding home victory over Everton, with Eden Hazard scoring twice, saw them emerge as genuine title contenders after the majority had overlooked their credentials. Fast-forward a forgettable season, and the storyline is much the same. 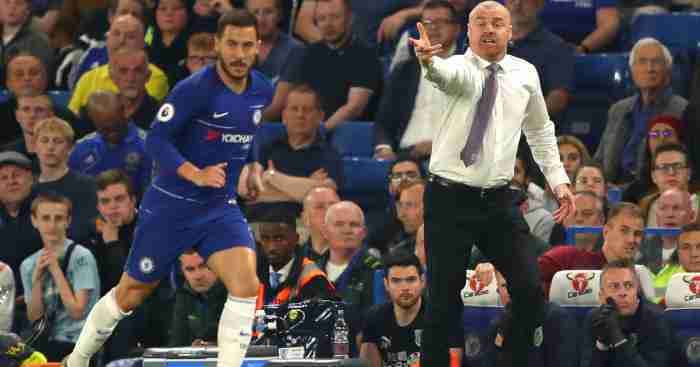 A charismatic Italian is in charge at Stamford Bridge, Chelsea have embarked on a five-game winning streak, Hazard is making a mockery of those who deride his ‘lack of end product’, and the Blues are at the top of the Premier League. The more things change, the more they stay the same. 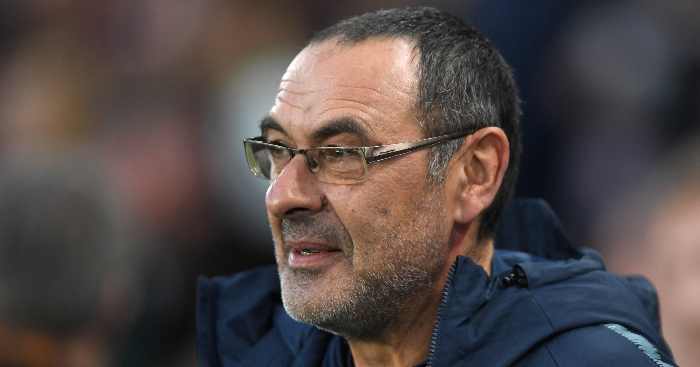 Chelsea were not perfect against Cardiff – nor did they need to be. They displayed the necessary killer instinct against a team that makes up for a lack of quality with an abundance of fight. The Welsh side are winless this season, but had not lost by more than two goals since last September. 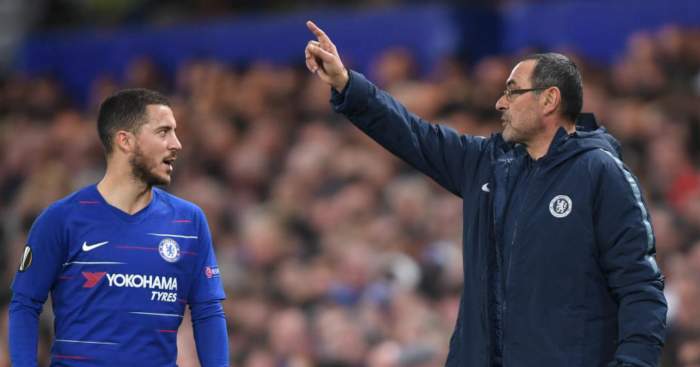 The most notable aspect of the home side’s performance at Stamford Bridge was that Chelsea did not rely on any one player to carry the creative can. Their central striker provided four key passes, their right and left-backs both laid on three chances, and their right-winger created two chances and scored one goal in a 22-minute cameo. Cardiff were busy locking the doors and barricading the windows but forgot that Chelsea had a spare key. 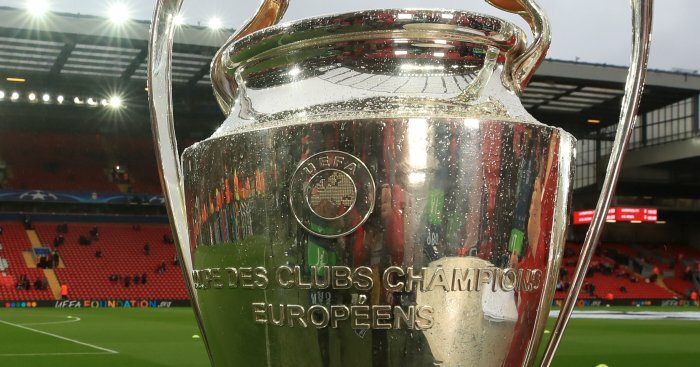 The pre-season forecast was that Manchester City and Liverpool would be the two to challenge for the Premier League crown, while the rest settled for a ticket to watch from the sidelines. Just as in their first season under Conte, Chelsea have sneaked under the radar to steal a march on them both. Now they are settled at the top, it will take quite the effort to remove them. A World Cup winner’s medal should certainly add credence to the claim, yet doubters still plague the career of a striker who knows and amplifies his strengths. There are far better and more reliable goalscorers, but there are few better and more reliable foils for a goalscorer. For a central striker to create more chances (4) than he has shots (3) is to see a central striker embrace his role in a team littered with talent. He is the focal point around which Chelsea operate, the fulcrum of each and every attack. Only three other players have provided more than one assist in a single match this season, and only two other players have assisted more goals all season. Giroud featured in every World Cup game for France this summer but failed to score. There is a reason he retained his place, and he is now reprising that role at club level. Since being appointed Liverpool manager in October 2015, Jurgen Klopp has faced 24 Premier League teams away. He has now failed to beat only Newcastle, Manchester United and Hull City. He has become more adept at playing away than your weird uncle. Also, Liverpool are the only club not to have been behind at any point so far this season. They might be good; our 16 Conclusions certainly suggested as such. For anyone still doubting whether Jamie Vardy and Gary Cahill have made the right decisions in stepping away from England duty, listen to James Milner’s thoughts from April. This 32-year-old is in his 17th season of Premier League football, and only continues to improve. If this were 17th century Salem, the only possible conclusion would be witchcraft. Those who saw it was Manuel Pellegrini’s birthday on Sunday might have feared a repeat of Trevor Francis’ infamous conversation with Simon Jordan in 2003, but the Chilean managed to avoid a similarly dreary fate with victory over Everton. He might have even stumbled upon the blueprint for the future. After the complete lack of a stable spine cost them early in the season, Pellegrini managed to find a cohesive, balanced midfield to make up for a lack of star power. Is there room for Jack Wilshere? How highly should a player be valued when they ruthlessly expose the limitations of a £70m-rated defender? Harry Maguire has shown that he is capable of dealing with a wide range of opponents on the world stage, but found himself chasing the diminutive shadow of Ryan Fraser on Saturday. Eddie Howe, a man whose ability in the transfer market has been questioned by this very column on a number of occasions, brought Fraser to Bournemouth for £400,000 in January 2013. The winger was just 18, and had started 13 league games for Aberdeen throughout his career. It was a gamble, albeit one of remarkably low risk and potentially high reward. The 24-year-old has displayed signs of his talent during his Bournemouth stay, but this season might be his coming of age. A double against Leicester means he is already within two goals of his highest-scoring campaign, and only three players have created more chances all season. “Finding consistency, especially when you are a marked man and people know about you, is his next challenge to overcome. Certainly, he has the ability to do it,” said Howe after the game, a manager eager to keep dangling the carrot tantalisingly close. When you have a player just as eager to keep striving to reach it, it is a powerful combination. Whatever your opinion on these Manchester United players, and whatever your opinion on this Manchester United manager, this is a squad fighting for Jose Mourinho. Victory over Watford should not be underplayed; to beat a side that won each of their previous four games is impressive, particularly away from home. The key for Mourinho is that United have won their last two games because of him, not in spite of him. Wins over Burnley and Watford were not procured through individual brilliance, but through a manager relying on what he knows best. Marouane Fellaini should perhaps not be the answer to any question for a club that has invested so much over the past few years, but he is certainly proving effective. Mourinho’s job was so insecure at the start of the month that a decent first-half performance against Tottenham was eulogised as the second coming of Brazil 1970. That reaction was laughable, but United have used it to kickstart their season. For that, they deserve the utmost credit. It almost brings a tear to the eye. Before Sunday, the starting line-up for Wolves’ most recent Premier League home win read as follows: Hennessey, Craddock, Ward, Berra, Zubar, Edwards, Hunt, Jarvis, O’Hara, Fletcher, Doyle. That selection, costing a combined £28.2m and overcame the might of Sunderland with two goals in the final 17 minutes. On Sunday, the starting line-up for Wolves’ first Premier League home win in over six-and-a-half years read as follows: Patrício, Bennett, Coady, Boly, Doherty, Moutinho, Neves, Otto, Costa, Jota, Jiménez. Their substitutes alone cost around £22m, and included a youth academy product. It is no secret that Wolves have been transformed in recent years, but that should not undermine just how impressive their transition from the Championship to the Premier League has been. It is undoubtedly made much easier when signing players of the calibre of Joao Moutinho, but it feels like Wolves have been in the top flight for years, not a month. There were attempts to critique their performance against Burnley, with many pointing out that they cannot afford to be so wasteful in the future. But their display ought to be taken at face value: their 30 shots is the second-most for a promoted team in a single Premier League game since 2003/04. The record is held by QPR, who had 33 shots against Leicester in November 2014. The Foxes had also been promoted the previous season; Burnley finished seventh just four months ago. The Clarets have left a gaping hole just below the Big Six. Wolves might well be the best candidate to fill it. In 286 minutes without Lucas Torreira playing, Arsenal have scored five goals and conceded seven. In 164 minutes with him on the pitch, they have scored five goals and conceded two. It is obviously easier for a midfielder to impress as a second-half substitute when surrounded by tiring legs, but it is time for Unai Emery to start playing with his expensive new toy more regularly. A difficult summer, followed by a challenging start to the season, all played out in the public arena. A goal within two minutes of your first start is a fine response for our early winner. Only four other players have multiple goals and assists in the Premier League this season. Wilson, Fraser, Hazard, Firmino and Aguero sounds like a brilliant Come Dine With Me line-up. He is no longer at the bottom of the Premier League save percentage table. Kasper Schmeichel and Marcus Bettinelli can only dream of stopping 57% of the shots they face. Mauricio Pochettino is right in that Tottenham’s performances in each of their first five games has been “similar”, and that the only difference has been the capability of their opponent to punish their mistakes. They were no better against Manchester United than they were against Liverpool, but ran out 3-0 away winners in one game, and lost 2-1 at home in the other. There are numerous reasons for their current slump, and you really must read 16 Conclusions for a full rundown. But of growing concern will be their record at set-pieces. A slight cut has been left unattended, turning into a festering wound at the heart of their defence. Tottenham conceded 33.3% of their league goals from set-pieces last season – the fourth-highest percentage of any team. 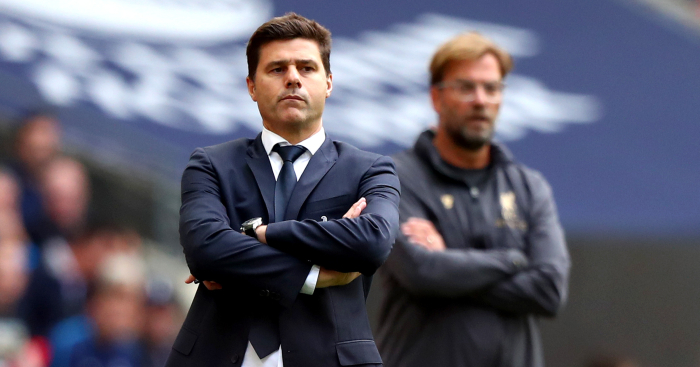 Georginio Wijnaldum’s opener for Liverpool was their third goal conceded from a set-piece this campaign, suggesting that Pochettino is failing to arrest the slump. Perhaps more worrying is that five of Tottenham’s six conceded goals this season have been headers. A centre-half pairing of Toby Alderweireld and Jan Vertonghen, supplemented with Eric Dier and others who ought to be more adept in the air, should not be so susceptible to such simple attacks. Tottenham’s giants are being dwarfed far too often in their own box. To paraphrase a famous Hollywood line, you either leave as a hero, or you stay long enough to see yourself become the villain. It feels a long time since Sean Dyche was touted for the England and Arsenal jobs. Yes, really. His stock was as high as it has ever been when he was guiding Burnley to seventh, and rightfully so. He worked wonders on a limited budget with a limited squad. But the markets have since crashed, and he faces a fight to scale the mountain once more. Burnley were never supposed to qualify for Europe, yet the mistake was not in flying too close to the sun. It was in refusing to acknowledge their new standing, and believing they could continue to operate in the exact same way. 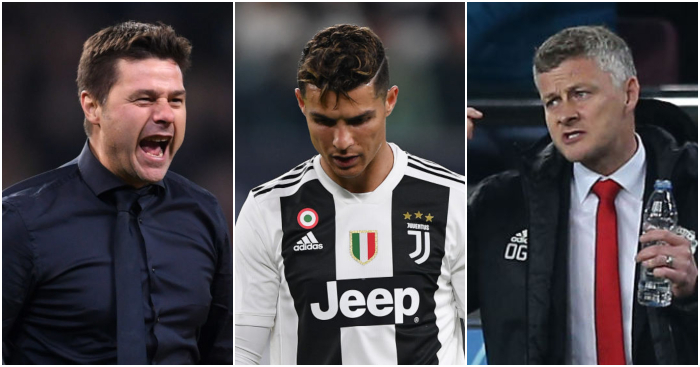 Only two sides made fewer signings this summer, and while Manchester City can afford to take such a gamble, Tottenham have proved it is never quite so simple. The players Burnley did add to their squad were never sufficient, either. Ben Gibson and Matej Vydra both came from the Championship, while Joe Hart’s reputation had been shredded beyond recognition. Adding such underwhelming ingredients has only spoiled the broth. Burnley’s entire defensive approach is based around allowing a lot of shots, but positioning themselves well enough to block them, relying on the goalkeeper to save the few efforts that squeeze through. Stoke (15.2) were the only team to concede more shots per game than the Clarets (15) last season, yet they let in 29 more goals. Even so, it is incredibly worrying that they have already allowed almost one-fifth of all the shots they faced last season, and almost a quarter of all the shots on target they faced last season. With just five games played, this doesn’t even slightly resemble Burnley at their best. Burnley have conceded 103 shots in five games. Over 38 matches that's 783. Opponents scored only 6.84% of their shots against Burnley in 2017/18. This season, that conversion rate has shot up to 9.7%. It might not sound like a huge increase, but in a low-scoring side, it is a relegation-worthy change. The red card was nothing more than a formerly proud gazelle being put out of its misery. Wes Morgan looked painfully off the pace against a young, vibrant Bournemouth on Saturday, the octogenarian being run ragged by his eleven grandchildren. He will be thankful for the rest afforded him by suspension. Claude Puel has dealt with the situation as best as he could, but now is his window to enact change. To remove a captain from the starting line-up is a delicate operation, not least at a club and dressing room where player power is still palpable. But this offers an excuse to phase out someone who is, at best, fourth choice in his position. Morgan could have no argument. He was not alone in having his weaknesses highlighted by a young, vibrant Bournemouth team on Saturday, but he and Jamie Vardy were the only outfielders over the age of 26. Jonny Evans is no spring chicken, and Caglar Soyuncu is inexperienced at this level, but Morgan has handed both an opportunity to stake their claims. Roberto Martinez was widely chastised for his inability to set up a team defensively, which led directly to his downfall at Everton. His clean sheet record over 265 Premier League matches is 21.5%; Marco Silva’s over 47 games is 17%. Yerry Mina is still to return, but that really does not make for particularly pleasing reading. “What’s he know about the Premier League? What’s he know?” they asked in January 2017. Not how to defend properly, apparently. Newcastle had 15 shots (2 on target) with 40% possession against Tottenham. Newcastle had six shots (2 on target) with 19% possession against Chelsea. Newcastle had three shots (2 on target) with 22% possession against Manchester City. Newcastle had four shots (2 on target) with 36% possession against Arsenal. They approached each game with entirely different tactics, yet were beaten 2-1 every time. They are our early losers. 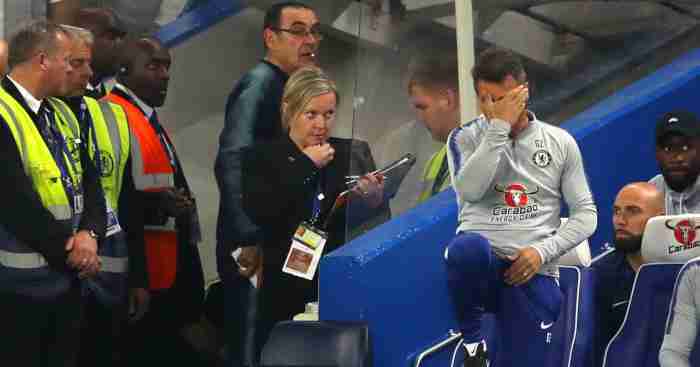 Ah, you wanted the second part of that Hazard quote on Giroud? It’s difficult not to take that personally. For not having Wilfried Zaha, basically. In games against bottom-half sides, he alone is so often the difference. Ajax keep Mauricio Pochettino from the top of the winners. Pep Guardiola is behind Ole Gunnar Solskjaer in the losers.